Women’s beach volleyball: Hey, that’s my daughter! The proud stepfather of Melissa Humana-Paredes, who is representing Canada in beach volleyball at the Pam Am Games, has a message for fans who can't see past the bikini. Posted in Sports/PanAm (Actual)/Beach-Volleyball | Comments Off on Women’s beach volleyball: Hey, that’s my daughter! Canada's women's volleyball duo of Taylor Pischke and Melissa Humana-Paredes lost their semifinal match in three sets to Cuba at the Pan Am Games on Sunday. 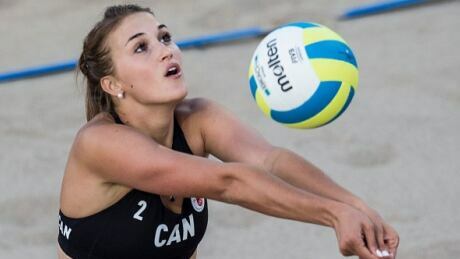 Canada's women's beach volleyball team advanced to the semifinals at the Pan Am Games by defeating Costa Rica in straight sets on Saturday night. 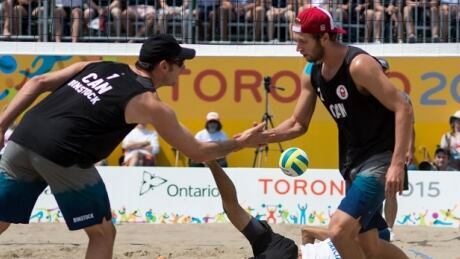 Canada's top-seeded men's beach volleyball team was eliminated by Mexico in their quarter-final match on Saturday afternoon at the Pan Am Games. 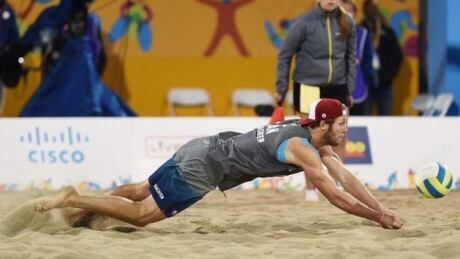 Canada's men's beach volleyball team advanced to the quarter-final round with a straight-set victory over Uruguay on Thursday night that completed a perfect round robin. 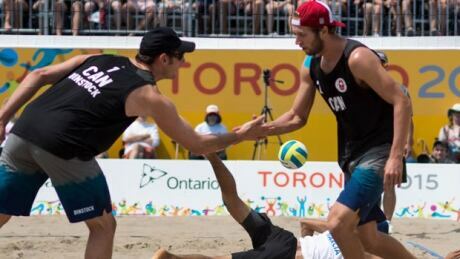 The Richmond Hill duo of Samuel Schachter and Josh Binstock have been a force on the court, but the road to playing professional beach volleyball didn’t come without a major bump in the road. 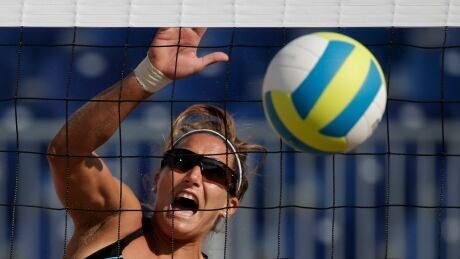 An Argentine player was on the receiving end of a painful beach volleyball point Wednesday at the Pan Am Games. 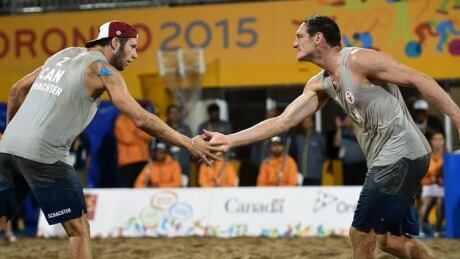 Canada's men's beach volleyball duo made quick work of the Guatemalans in their second match of the preliminary round on Wednesday afternoon at the Pan Am Games. 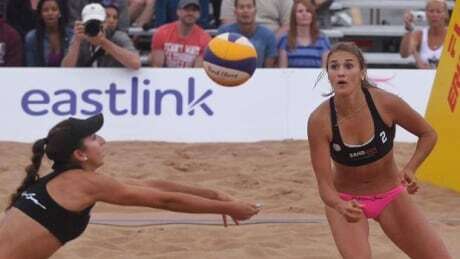 In its second day of competition at the Pan Am Games, Canada's women's beach volleyball team kept rolling with a straight-sets victory over Puerto Rico. Canada's women's beach volleyball pair dominated in their opening match against Cayman Islands Monday at the Pan Am Games in Toronto. You are currently browsing the archives for the Sports/PanAm (Actual)/Beach-Volleyball category.